What is your opinion about Torrents? We expect various answers according to your profession and purpose for which you use that technology. In case if you are a typical internet user, you will surely support Torrents as you might be using it for downloading large files from the web by means of peer-to-peer technology. On the other hand, if you are a software developer, chances are high that you will hate torrents as at least someone is using the technology for the illegal distribution of your product, in turn causing you big loss. You would have definitely heard about BitTorrent if you have used Torrent technology. Even though we state that world of science has fewer myths, the case of BitTorrent is purely exceptional. Among users and others, there are various myths regarding BitTorrent, especially about legalities. Would you be able to believe that the usage of BitTorrent is 100% legal? We guess you will not, even though you have to do so! 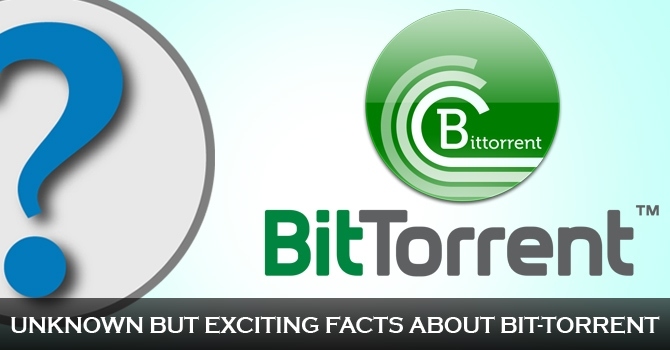 Just like this, there are various less-known facts about BitTorrent. Now let us tell you those weird facts to you. As you might know, you need two parts for downloading one file from internet. One is the transfer protocol and another one is the specific file, hosted somewhere. In case of BitTorrent, it is a widely used Protocol for P2P sharing rather than a service, providing torrent based downloads. 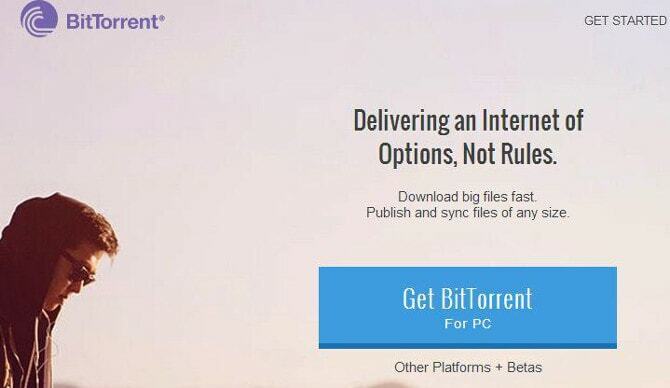 Thus, you cannot download one file from BitTorrent, as it is a platform. Despite the fact that there is a company to maintain the protocol, the word, BitTorrent, is rather popular as software to download content, which is logically incorrect. Therefore, when your friend tells you that he has downloaded one movie from BitTorrent, try to correct him by explaining about this protocol stuff. As we mentioned earlier, there is a San Francisco based company, which maintains the peer-to-peer protocol for extended use. Apart from maintaining, the mentioned tech giant also publishes some services and products. The product and service list is as follows. uTorrent: This is the best you can find on the web for using the mentioned P2P protocol in order to download files quickly than usual. This software is available for Windows, Mac, Linux and Android. BitTorrent Sync: BitTorrent is a service, which helps you to synchronize your files between various devices. This personal site is also using P2P Technology without interrupting your privacy. File Bundles: This is the place, where you can see the legal phase of BitTorrent. File Bundles are sets of 100% legal files you can download via P2P technology. This is the place, where you can see the legal phase of BitTorrent. File Bundles are sets of 100% legal files you can download via P2P technology. Apart from these, premium version of the torrent client and one streaming service are available from the company. On top of all, BitTorrent never offers illegal torrent based downloads for you. If you find some torrents from the BitTorrent site, you can make sure that the content is 100% legal to use. If you are passionate about music and movies, you might be happy to read the following quote from BitTorrent Inc. Nevertheless, the fact is that majority of internet users, familiar with BitTorrent, do not even know about this offer nor using the legal way of downloads. Still, such users are running behind pirates’ sites without even checking whether there is a legal version available. We should also mention that BitTorrent Bundles is such a useful service, where you do not have to fear about legal threats. You may call torrent as piracy but not BitTorrent! 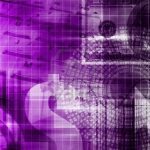 According to the blog post mentioned in the last section, BitTorrent Inc has clearly stated that no illegal download is possible from BitTorrent. However, there is a contradiction with the statement when you download freshly released movie from the web. Let us explain it to you! In perspective of a normal internet user, downloading a file through torrent is an easier job, indeed. However, the process takes a touch of three different constituents – Torrent Client, .torrent file and torrent tracker. Of course, as you know Torrent client is the software, which makes use of P2P sharing technology whereas .torrent file leads you to the file, you want to download. This also means that the torrent tracker is the main star of this play. Actually, the torrent tracker is a server that connects you to other computers in order to accomplish the download. Of course, as you can guess, every P2P based download requires a torrent tracker. However, BitTorrent or their supported products never provide you not only such torrent trackers but also .torrent files. Hence, it is hardly impossible to download pirated content from BitTorrent. Instead, you are actually using other websites like Pirate Bay for downloading pirated content. In that sense, BitTorrent is not responsible for what you downloaded using the client. Still, you cannot say that you downloaded an illegal movie from Pirate Bay because the service does the same function of Google Search, in spite of the fact that movie freaks like you provide this information. Would you believe when we say there is a legal side of torrent downloads? Probably most of you will not do so. 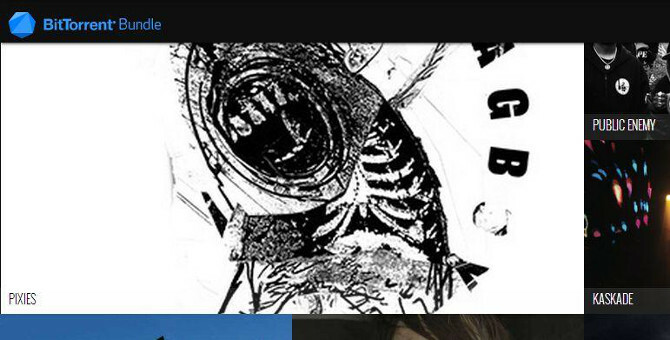 However, BitTorrent, the protocol, has a legal side as well, where you can .torrent files from official sites itself. The best example is Ubuntu Linux’s official site, where you have an option to download the .iso file by using P2P Clients. Moreover, there are several websites for providing legal torrent downloads. Hence you cannot state the equation torrent = piracy. After reading this article, we guess, you will not say that you ‘downloaded one illegal file’ from BitTorrent. Instead, you can say that you have used BitTorrent protocol for downloading the file. Hope you got what we meant. Then, do let us know your opinion about implying piracy to torrents when some people use it for legal downloads as well. Really nice article you wrote here. Actually i have not any specific idea about torrent and bit-torrent. But your article really help me to understand little bit about bit torrent and its activity. Thank you again. You described vary clearly you give lot of information about Bit torrent. But i used only U torrent….. Bit torrent and U torrent both are the best ways of downloading the things. Both uses Peer to Peer (P2P) protocol as you mentioned but these are good from some point of views as have some security issues too. However very nice article thanks for sharing. Hi Abhijit! Your post on torrent p2p downloading is appreciable. I didn’t know that this was legal. I’d read somewhere few months ago that Google was going to penalize such sites that are providing torrents. After reading this I’m excited to check out the bit torrent bundle. I’m a great fan of torrent networks and love them the way they work. Thanks for making us aware of this amazing fact about torrent downloads!!! bitorrent for me, is very useful. by of course downloading movies., such a nice appication. thank you for this piece. very nice.